Date of creation: 20 Mars 1970. Founders: Léopold Sédar Senghor (former President of Senegal), Habib Bourguiba (former President of Tunisia), Hamani Diori (former President of Niger), and the Prince Norodom Sihanouk, King father of Cambodia. 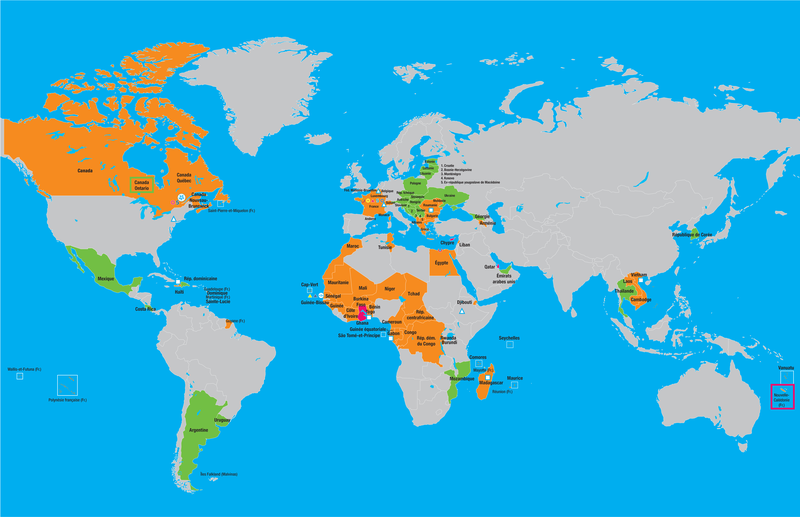 Members: 84 Member States and Governments (54 full Members by right, 4 associate members and 26 observers). – Develop cooperation for sustainable development. The Estimation of francophones in 2014: About 274 million people can be defined as francophones. 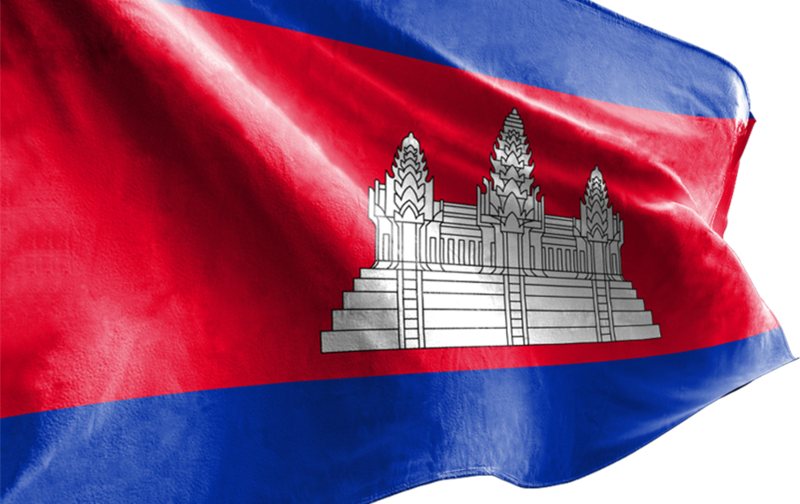 In South-East Asia, in Cambodia, 423,000 Francophones, representing 0.02% of its population; in Laos, 190,000 Francophones, representing 0.03%; in Vietnam, 654,000 Francophones, representing 0.006%. – in New York and Geneva, to the United Nations. The OIF acts in synergy with the Parliamentary Assembly of La Francophonie (APF), the four specialized operators, namely the Agence universitaire de la Francophonie (AUF), TV5, the International Association of Francophone Mayors (AIMF), the Université Senhor d’Alexandrie; as well as with the two permanent ministerial conferences : the Conference of Ministers of National Education (Confémen) and the Conference of Ministers of Youth and Sports (Conféjes). In November 1991: observer member, at the 4th Francophonie Summit in Chaillot (Paris), France. In October 1993: full member by right, at the 5th Francophonie Summit in Grand-Baie (Mauritius). The 35th Ministerial Conference of La Francophonie (CMF) will be held on 8 and 9 October 2018 in Erevan, Armenia. The 17th Summit of La Francophonie will be held on 11 and 12 October 2018 in Erevan, Armenia.